Horticultural services firm Flora-tec is seeing savings across its its 55-strong car and van fleet some six months after outsourcing the management to Fleet Operations. The business appointed Fleet Operations after company growth meant it became more cost effective to outsource all its fleet needs; Fleet Operations now has full day-to-day responsibility for areas including fuel management, multi-bid vehicle sourcing and funding, vehicle tracking, accident management, DVLA licence checking, invoice validation and a dedicated driver helpline. 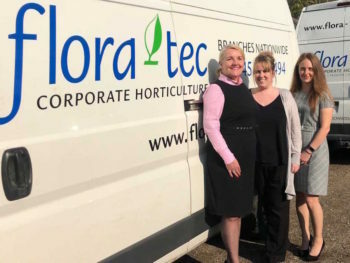 Kirsty Richardson, operations and client support manager at Flora-tec, said the move to multi-bid leasing alone was bring multiple benefits.